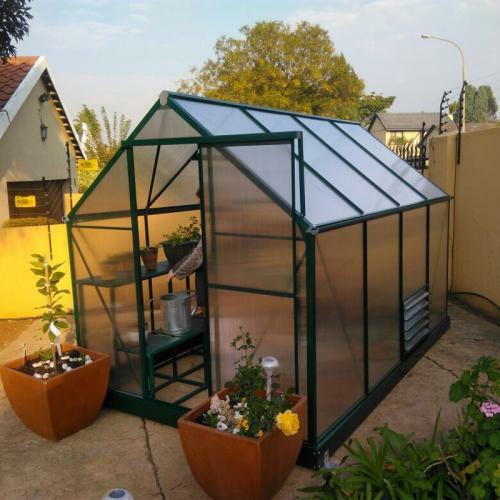 The Easy Gro greenhouse is a smaller option for smaller spaces, or beginner gardeners. 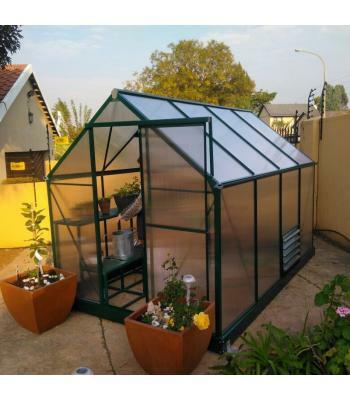 It is a strong, sturdy structure, made with 1.2mm green powder coated aluminium frame and 4mm thick twin-walled polycarbonate panels. 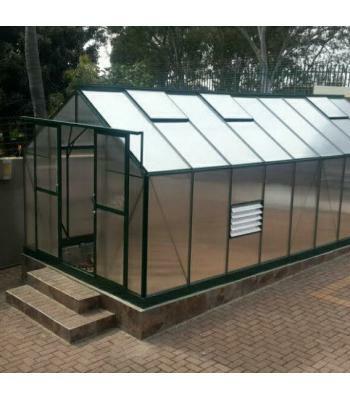 It comes standard as a 2m x 3m greenhouse with a height of 2m. 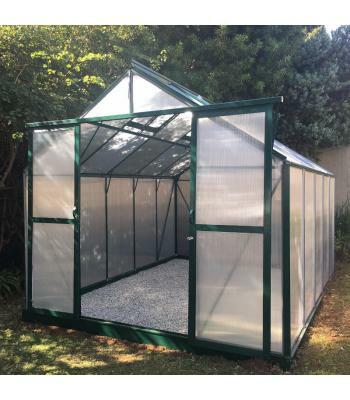 The Easy Gro is made with rigid polycarbonate panels that are UV Protected and hail-proof. 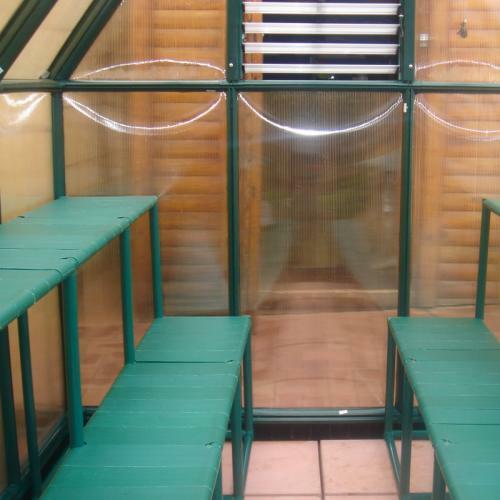 The insulation provided helps to regulate the temperature within the greenhouse. 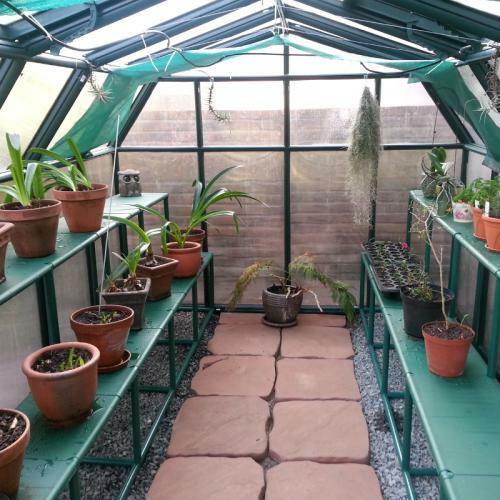 Diffusion of light helps plant growth. It is flat packed and can be delivered anywhere in Southern Africa by courier. 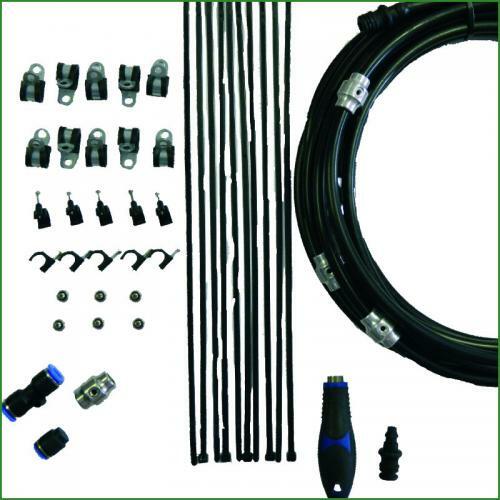 It comes with stainless steel bolts and nuts and an assembly manual to allow for DIY installation, with no special tools required. 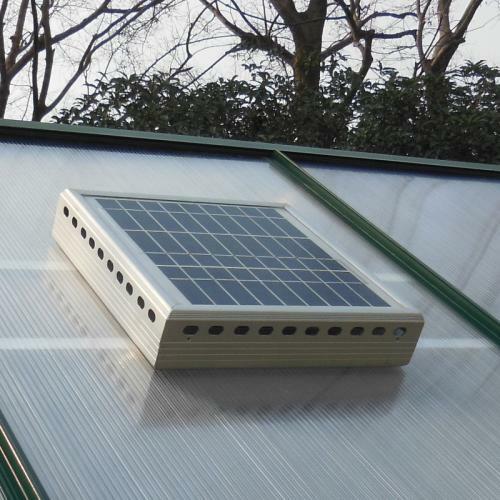 Each kit comes standard with 2 roof vents and one side louver to provide for air flow and ventilation. 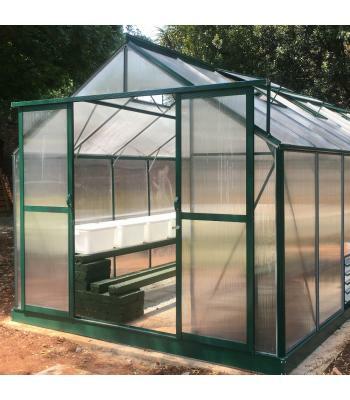 A base frame is included and this can be used to install and fix the greenhouse directly into the earth – so no building is needed. You can, of course, choose to build yourself a foundation. 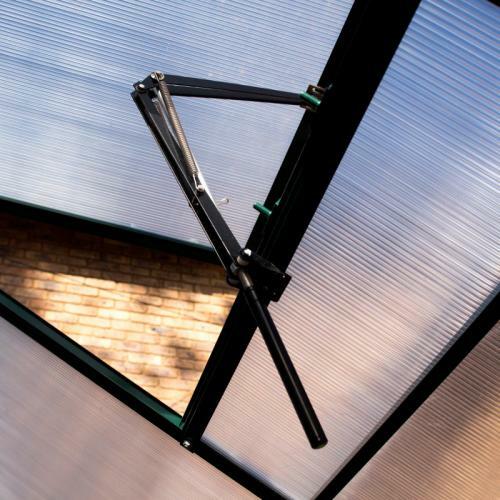 Clients are free to customise this to their specific needs. There is one single sliding door in the front.